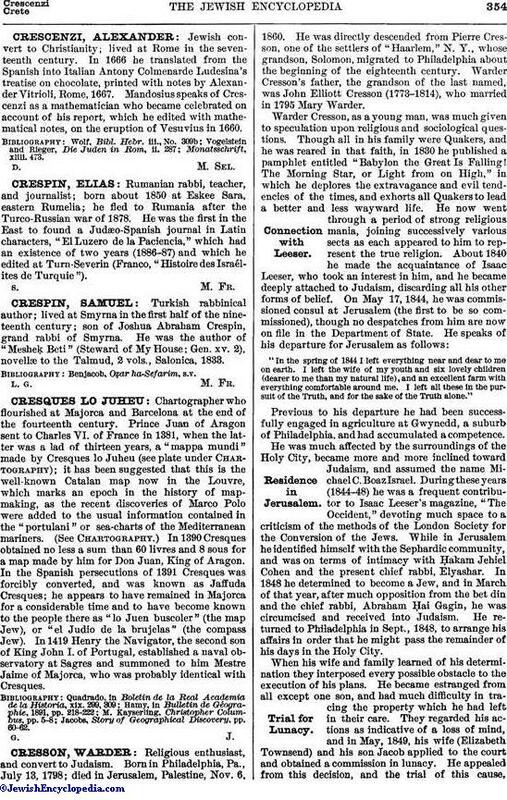 Turkish rabbinical author; lived at Smyrna in the first half of the nineteenth century; son of Joshua Abraham Crespin, grand rabbi of Smyrna. He was the author of "Mesheḳ Beti" (Steward of My House; Gen. xv. 2), novellæ to the Talmud, 2 vols., Salonica, 1833.